The Airbus Helicopters AS350 B3 Écureuil (Squirrel) is a light utility helicopter originally manufactured by Aerospatiale. This helicopter is also known as the Astar. Development began in the 1970s, when it became clear that the venerable Alouette II needed a successor. Civilian sales of the Gazelle had been underwhelming compared to the Alouette and so a new civilian focused helicopter was neededto fill the gap. The Ecureuil introduced several innovations that turned it into the cost effective aircraft it was intended to be from the outset. This was the helicopter that first introduced the Starflex main rotor technology and utlised a rolled sheet structure, adapted from automotive manufacturing. The high-performance B3 model represents years of refinement, but still uses the same original design at its core. The AS350 B3 has found favour with private aviators, charter operations, airlines, medical rescue and transport services, government departmens and law enforcement. At the heart of the AS350 B3 lies an Arriel 2B engine with a single channel digital control system as well as a mechanical backup control system. The B3/2B1 variant of the helicopter has dual-channel FADEC (Full Authority Digital Engine Control), dual hydraulics and uses the Arriel 2D engine instead. 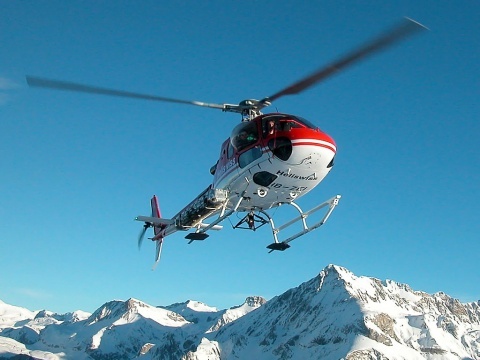 The AS350 B3 can typically accomodate between four and six passengers. As can be expected from a helicopter intended to live up to the Alouette, the AS350 B3 has unmatched high altitude performance. In fact, it is famous for being the first (and so far only) helicopter to land on the summit of Mount Everest, the highest point on planet Earth. An AS350 B3e also broke records by landing on the highest mountain in Mexico, the Pico de Orizaba. Many operators have rapid reconfiguration solutions in place for the B3, allowing them to change equipment quickly for different mission parameters.The B3 has a long list of optional equipment, inluding real-time data links, rescue hoists, underslung cargo hooks, cabin tie downs and removable seating. It is an incredibly versatile aircraft. The AS350 B3 has seen extensive use globally in nations such as Russia, Brazil (including the Brazilian army) and the United Kingdom. Hundreds of AS350s are operational in Brazil alone. In fact, Brazilian Airbus subsidiary Helibras manufactures a large number of AS350s domestically. In the UK the AS350 has been used for flight training as a replacement for the Aerospatiale Gazelle, itself meant as a successor to the Alouette II. Now, however, it is being fazed out by the more modern EC130 and EC135 models. Do you want to comment the Eurocopter AS350 B3 Ecureuil / AStar helicopter?